San Diego ComicCon was on not long ago, and as with every SDCC, there are the rare and exclusive SDCC sets. 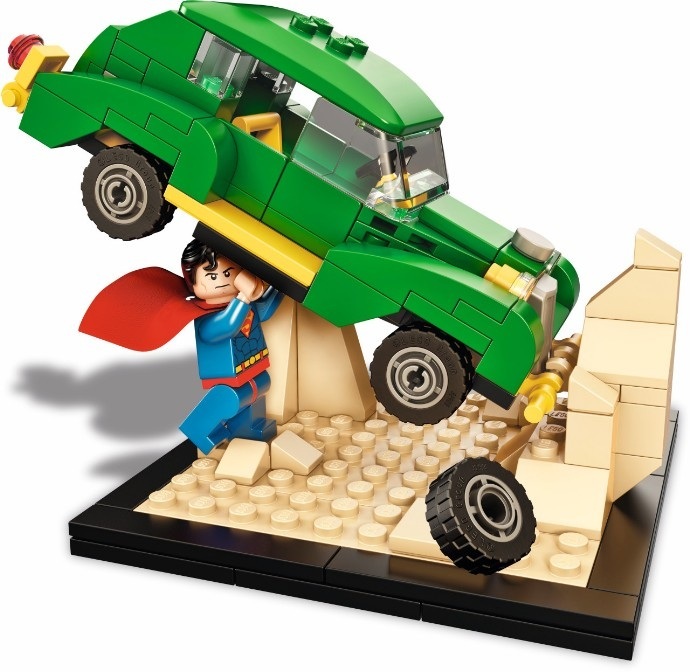 The Action Comics #1 Superman set was a very popular one, and luckily for us, The Brick Fan has kindly published the parts list and full instructions! There are some hard parts to find, mainly the car’s roof in green (and Superman of course), but the rest is there. There is also a Flickr album if the images on the website are too small. I wonder if I have the parts? If you do build it, leave a comment and a photo and let us know how you went!